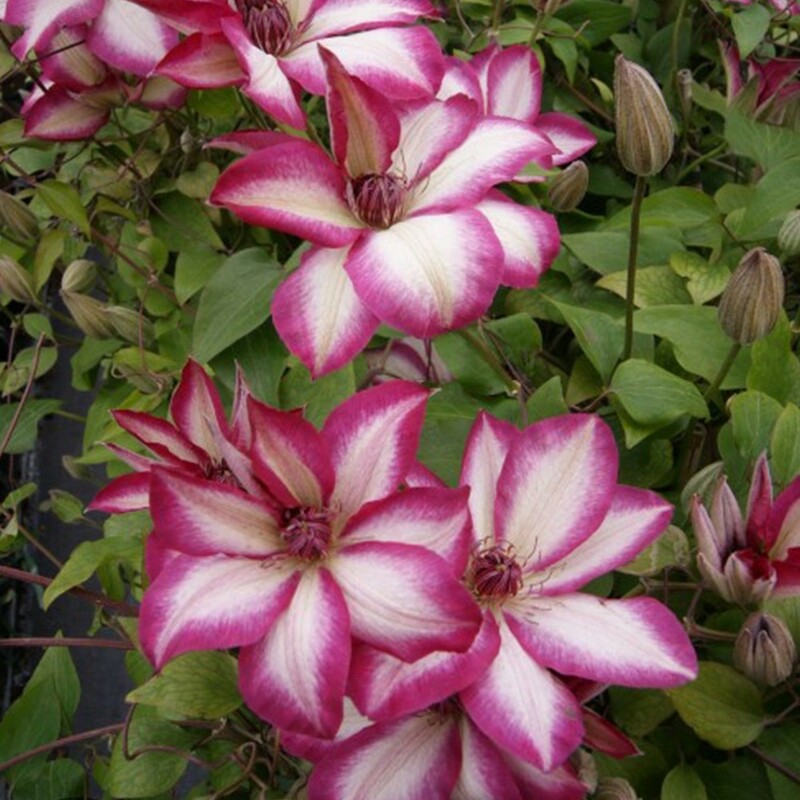 Recently introduced, this summer flowering Clematis ‘Picotee' produces exquisit blooms. Every petal on each flower is pure white edged with a hot pink kiss - a dazzling combination that is sure to be a future garden classic. The pink picotee-edged blooms are also a nice large size, each up to 15cm (6in) across, these are produced in their masses in distinctive flushes in late Spring and early summer and again from mid-summer into Autumn. A good climbing attaining heights of upto three metres, it is ideal for covering unsightly fences and walls or use to dress other garden structures. Suplied in approx 2 litre containers.